American Manufacturers Mutual Insurance Company is an Illinois-based casualty and property company offering auto, home, condominium, renters, and umbrella insurance policies. They also offer specialty insurance products such as collectibles insurance and identity theft coverage. American Manufacturers operates as part of the Kemper Insurance Companies. 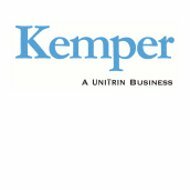 In turn, Kemper has been part of Unitrin since they were acquired in 2002. See side-by-side health insurance quotes from companies in your state by entering your zip code below. Although American Manufactures Mutual Insurance Company does not provide health insurance coverage, we will review them here nonetheless. You may find this review helpful if you are searching for other types of insurance that American Manufacturers or Kemper does provide. Keep in mind that all of this information comes directly from the Kemper Insurance Companies, as American Manufacturers does not maintain its own web presence. A review of several business listings websites reveals several entities using the American Manufacturers name in states like New Jersey and South Carolina. However, there is no indication as to whether or not these local offices are in any way related to the Illinois office of Kemper. If you wish to contact one of these local offices directly, be sure to ask if they are one the same. American Manufacturers and Kemper work with a network of agents numbering 4,700 strong. These agents may be independent individuals or those working for broader agencies in large metro area. Regardless, independent agents represent a variety of different insurance carriers in all the fields they cover. An American Manufacturers or Kemper agent will be able to compare their policies against those of other carriers in order to provide you with the best options. Companies like American Manufacturers use the local agent model because it provides a more personal, one-on-one relationship between customer and provider. A local agent is familiar with the conditions where you live, your community, and anything else specific that might affect your policy or claim. Local agents act as intermediaries between you and your insurance carrier and can help you purchase new policies and modify existing ones. You can find a local agent in your area by using the locator tool found on the Kemper website. By simply entering your address and deciding how large an area you want to search, the locator will return a list of agents including names, telephone numbers, addresses, and e-mail where applicable. With nearly 5,000 agents across United States, it should not be difficult for you to find one within reasonable distance of where you live. It is difficult to find both customer and business reviews of American Manufacturers because they conduct business under the Kemper name. However, plenty of reviews can be found for the Kemper Insurance Companies. One prominent review site where customers can leave their opinions has Kemper ranked at 3.5 stars out of five. Among the pros are fair price, good coverage, and adequate customer service. Some of the complaints written against Kemper include poor claims service and rude or uninformed phone representatives. In terms of financial ratings, all of the companies in the Kemper Insurance family enjoy either an A or A+ rating from various ratings services. However, it must be noted that those ratings are usually based upon Kemper as a whole rather than the performance of the individual subsidiaries. The high ratings mean that American Manufactures and other Kemper subsidiaries are financially stable to date and have a promising outlook for the future. Career opportunities with American Manufacturers are accessed directly through the Kemper HR department. The careers section of their website lists the benefits of working for them, which include medical, dental, and vision insurance, paid time off, life insurance, accident insurance, 401(k) plan, and more. There is also a link to search for job openings across all sectors of business. Candidates may browse these job listings and follow the instructions given in order to apply. Find affordable health insurance rates right now by entering your zip code below.